Japanese makeup artist sporting an all black fashion style while out on the Harajuku street. 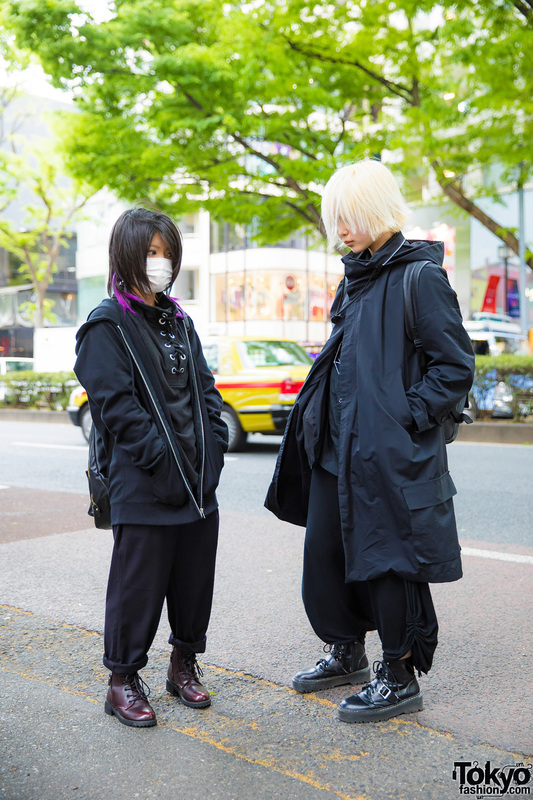 Harajuku duo showcasing all black fashion styles while out on the street one afternoon. 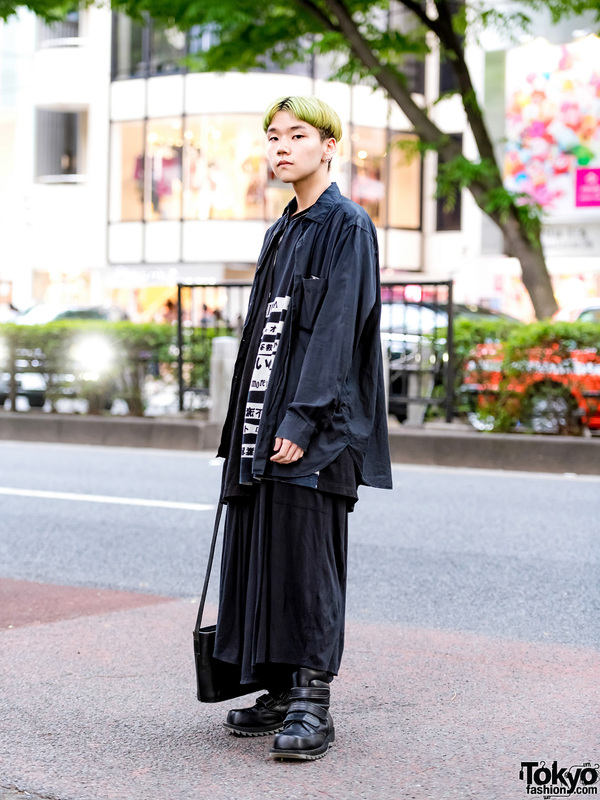 Harajuku guy wearing all-black Yohji Yamamoto outfit. Harajuku trio sporting mixed eclectic street ensembles while out on the busy street. 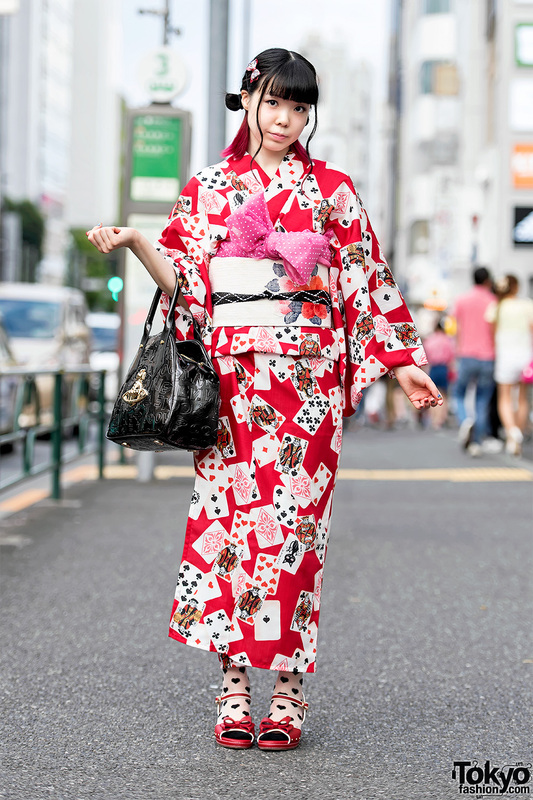 Japanese students showcasing their cool street styles while out and about in Harajuku. 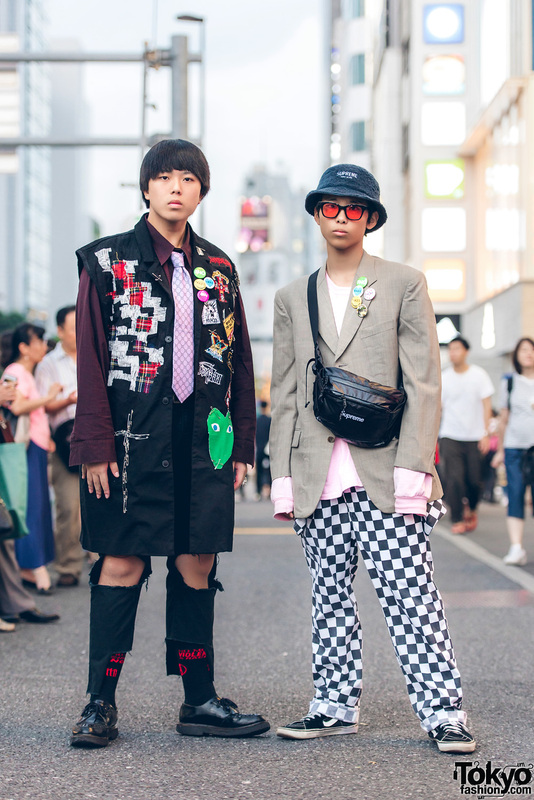 Harajuku guys sporting black blazer fashion with t-shirt, denim pants, black boots, red t-shirt, Marilyn Manson printed pants, black sneakers, and a Louis Vuitton handbag. Harajuku girl in a stylish all black ensemble with black dress, trench coat, tights, platform heels and tote bag. Japanese streetwear in Harajuku after dark with items from Yohji Yamamoto, Never Mind the XU, Maison Martin Margiela, Prada, Ambush, and LAD Musician.